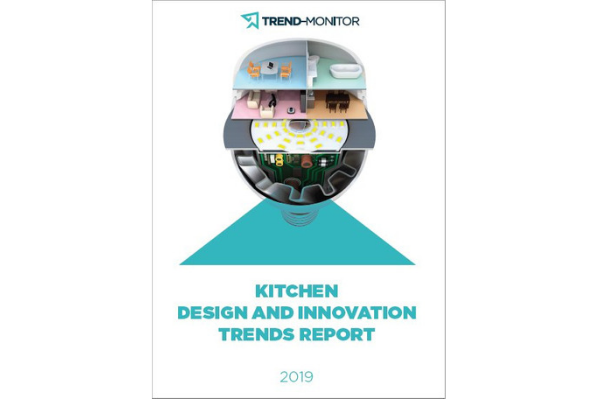 This report looks at the key trends that influence the way we use our kitchens and highlights the innovations that tap into these trends, not just within the kitchen industry but also the wider environment. The pace of innovation within the kitchen industry is phenomenal and this is never more obvious than when visiting the big trade shows such as CES in Las Vegas, LivingKitchen in Cologne or Eurocucina in Milan. In its truest sense, innovation means providing ideas out of the blue, leading to significant discoveries and achievements, and it was tempting to include in this report everything new, interesting or exciting that we’d seen on our travels. However, at Trend-Monitor we take a more focused approach and our starting point is always the societal shifts that influence the way we use our kitchens. From here we highlight how manufacturers, designers and innovators are reacting to these shifts, not just within the kitchen industry, but also with an eye on the wider environments. Innovation is an iterative process and with this in mind we have no hesitation in featuring products that are still at development stage. These early prototypes are nonetheless significant and earn their place in this report by addressing a strong consumer need or requirement for the kitchen space. Click on the 'Direct bank transfer' option at the checkout to pay by bank transfer. Note: Access to the report(s) will be on receipt of payment and some online discounts may not apply.